Lázara Maria Soto, 17, lives in the Tremé neighborhood of New Orleans. Her parents cook crystal meth in their bootleg lab, Candyland. Her brothers sell it to kids in the high school parking lot. She would love for her parents to live an honest life. She would love for her brothers to stop making fiends out of her friends. Out of fear and complacency, she does nothing to stop them—’til one day she overhears her brothers plotting to kill a fifteen-year-old if he fails to repay his drug debt before midnight at Candyland. Unable to bear the burden of the boy’s murder on her conscience, she embarks on a crusade to save the boy, first alerting the boy’s father then confronting her brothers, and, finally, seeking help from a New Orleans cop. 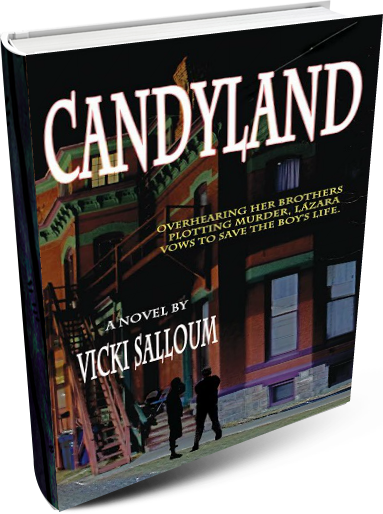 When all efforts fail, she steals a handgun and surprises her brothers during their rendezvous with the boy at Candyland—unleashing consequences she never expected or could ever have imagined.